Life goes on, as it should I believe. Many of us will have Memorial Day off and can’t wait for our three day weekend to start. Many take this time to enjoy their economic prosperity with a good meal and perhaps taking advantage of a Memorial Day sale. We love enjoying the freedom and prosperity this great nation provides to us. I think this is awesome, I’m not against family BBQ’s and Memorial Day sales. They represent time spent with family and the strongest economic force in the world doing what it does, trying to grow and become better. People pushing to have their very own piece of the American dream. We have plans to be in our family’s company and gossip about the latest headlines, NFL draft picks and our children’s accomplishments. As a Hospital Portal team member and United States military veteran, I wanted to share a few thoughts on Memorial Day. What is was? What it is? And how we as Americans can do it properly. Memorial Day, an American holiday observed on the last Monday of May, honors men and women who died while serving in the U.S. military. Originally known as Decoration Day, it originated in the years following the Civil War and became an official federal holiday in 1971. Many used to spend the day at a parade in tribute to our fallen heroes or at a veteran cemetery laying a wreath, as was the tradition when the holiday was called Decoration Day. Times have changed a bit and that’s okay but some thought should be given. Some were fortunate enough to know a person in their lives who gave the ultimate sacrifice. I was personally fortunate enough to serve this country and I hold a special place in my heart for those who put their nation first and lost their life. Coming back from deployments, you often hear someone thank you for your service and call you a hero. I’m not the hero, they were the true heroes. The ones that never will spend another day with their famalies they left behind. Any veteran would agree. Amazing human beings is all that comes to mind. If you knew someone who was lost, take this day as a chance to share their story. If you did not know anyone, here you can find stories of recipients of The Medal of Honor. It is bestowed on a member of the United States armed forces who distinguishes himself “conspicuously by gallantry and intrepidity at the risk of his life above and beyond the call of duty while engaged in an action against an enemy of the United States.” Because of the nature of its criteria, the medal is often awarded posthumously. 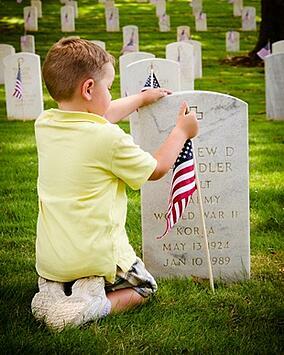 Please remember, as the old cliché goes, freedom isn’t free and there are families not quit as fortunate as yours. A family who has lost a father or a mother, a brother or sister, a son or a daughter so that this nation could reap the fruit that freedom affords. You may have never asked these men and women of honor and valor to commit to such sacrifice but they did anyway. They did it because they wanted to fight for something bigger then themselves. They did it so you could enjoy a day with your family, free of fear or threat. They sacrificed their dreams and altered the direction of their family’s lives forever. As a nation, we decided collectively that we should remember their sacrifice on Memorial Day. So you may not lay wreaths at a veteran cemetery or attend any parades but for just a moment with your family, acknowledge their sacrifice. Then please do enjoy the day as they would have wanted you to. Enjoy your family and all that you have. After all… Life goes on, as it should I believe. 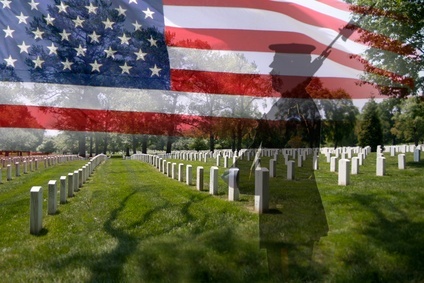 If you wish to pay your respects, you can find a veteran cemetery in your area.